There is no reason to sacrifice style even in the frigid weather especially with the help of stylish winter boots. Elle Macpherson has been seen on several occasions in a pair of cute and cozy Sorel boots (use code SOR30OFF for 30% off sale!). She wore the Joan of Arctic boots that are my big time favorite as well. They boast a posh cold-weather look while keeping your feet warm and dry. I love it in winter white! 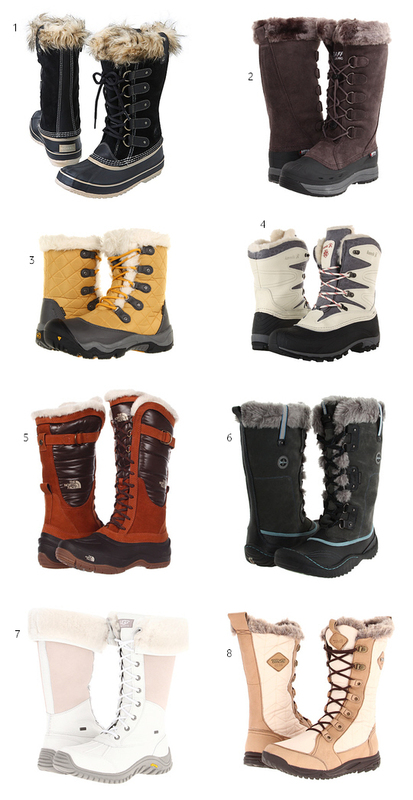 These boots below are nothing short of perfection in terms of function and style come rain, snow and slush! Each of the pairs are available in different colors.